Myself and a designer have been collaborating on a few Flash lite titles which are ready for launch on the Ovi Store. We call ourselves Chompgames. 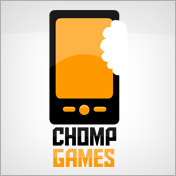 You can follow Chompgames or alternatively follow us in facebook through our fan page. Deep Days would be the first title to be launched under Chompgames and is in the Q/A phase in Nokia’s Ovi store. Deep Days is a simple and entertaining game, where the user can glide to glory. Soon to come is the Deep Days’ wallpaper for your phone. Stay connected ! Nokia’s Ovi, Has Finally Come Live………. Nokia’s much-anticipated online software and content store, Ovi, has finally come live. Today, Ovi Store by Nokia is available globally to an estimated 50 million Nokia device owners across more than 50 Nokia devices including the forthcoming flagship device, the Nokia N97. It is an answer to Apple App Store, this Ovi can access more devices than its rivals and will utilise social networking and location-based info to hint at relevant mobile content. Customers can visit store.ovi.com (http://www.store.nokia.com/) through their Nokia device browser to immediately begin downloading, personalizing and making their devices smarter and more fun with applications, games, videos, podcasts, productivity tools, web and location-based services and much more. Recently, Canada’s Research in Motion (RIM), too opened its online store, BlackBerry App World offering a variety of free and paid applications. Others hotting up the online application space include Microsoft’s Windows Mobile Marketplace and Google Android Marketplace. A user can get to the Ovi Store by going to store.ovi.com on either his PC or Nokia mobile phone. If a user clicks on a piece of content on his PC, the store will send his phone a text message with a link. The user clicks on the link in his phone’s messaging programme, which will send him to a WAP site. Now he needs to click download and go through a log-in screen. If the content costs money, he will have to go through two screens to share his credit card info. The multiple languages Store is open for business and Nokia has stocked the shelves with both local and global content for a broad range of Nokia devices. To begin with, Ovi Store packs over 20,000 titles, including both free and paid applications, podcasts, wallpapers and ringtones. Nokia Ovi’s rival Apple App Store offers over 35,000 applications. Incidentally, Apple’s and Google Android’s debut figure was much less in comparison. Here’s a whole view of the Nokia Ovi Store, its advantages and disadvantages and you can see more. Ovi Store is Nokia’s market for Internet services where end users can share photos with friends, buy music and access third-party applications. The countries to first gain access to Nokia Ovi include Australia, Singapore, Spain, Italy, Germany, Russia, Ireland and UK. The Ovi Store has a list of Nokia devices and allows users to sort content depending on which phone they use. According to a popular tech site, it has 868 for Nokia E71, 987 for the Nokia N95 8GB, and 596 for the Nokia 5310. Of these, most are ringtones, wallpapers and videos, not apps, according to the site. As for apps, there are 436 for the N95, 414 for the E71, and a mere 154 for the Nokia 5310. Underneath the main phone selector tool are several ways to search for content, including lists for applications, audio & video, games and personalization. Every category has a list of sub-categories below it. Below this are twelve featured applications, which display the category under which they would normally fall. However, since the store is still in its initial stages, most apps have not been rated yet. On clicking on an application, users will arrive on a page specific for that app where they can read much info about it. The info includes the size of the application, the ability to report issues, user reviews and also how to determine if your phone is compatible with the application. Users can also choose to have the store recommend applications based on the mobile device they are using. Plus, there’s also a way to sort between free and paid apps. Ovi Store supports more than 50 Nokia devices including the upcoming Nokia N97. Nokia claims that the Ovi Store is available globally to an estimated 50 million Nokia device owners. Currently, Nokia holds about 40 per cent of world’s mobile phone market share and 45 per cent of the smart phone market share. As for the payment, users can pay with their credit card or can have the charges added to their phone bill. Nokia said that in the US, AT&T plans to make Ovi Store available to its customers later this year. Nokia Ovi store misses out the popular social networking hangouts Facebook and Myspace. On the social networking side, it has Hi5, Friendster, Buddycloud and also location based social network Gypsii. The site so far offers mere 10 business applications including See-Fi, a calendar sharing tool, Projekt, to-do list manager and ABBYY Business Card Reader 2.0.The fact that content is model-specific is sure to disappoint several users. This is unlike Apple App Store or Blackberry App World where all apps support all models. This is largely due to the same OS in all the models. While Nokia’s large flock of mobile devices in the market don’t support varied OSes. Nokia Ovi store site displays a list of Nokia phones and allows users to sort content depending on which phone they use. Nokia is the world’s number one manufacturer of mobile devices by market share and a leader in the converging Internet and communications industries. They make a wide range of devices for all major consumer segments and offer Internet services that enable people to experience music, maps, media, messaging and games. They also provide comprehensive digital map information through NAVTEQ and equipment, solutions and services for communications networks through Nokia Siemens Networks. The Boston Adobe Mobile and Device User Group is holding an eSeminar on Monday April 13th, 2009 at 9pm EST (check your time), Bill Perry from Forum Nokia will be the speaker, Publishing to Ovi: A good Opportunity for Flash developers. Use the following link (http://experts.na3.acrobat.com/ovi/) to participate to the eSeminar.